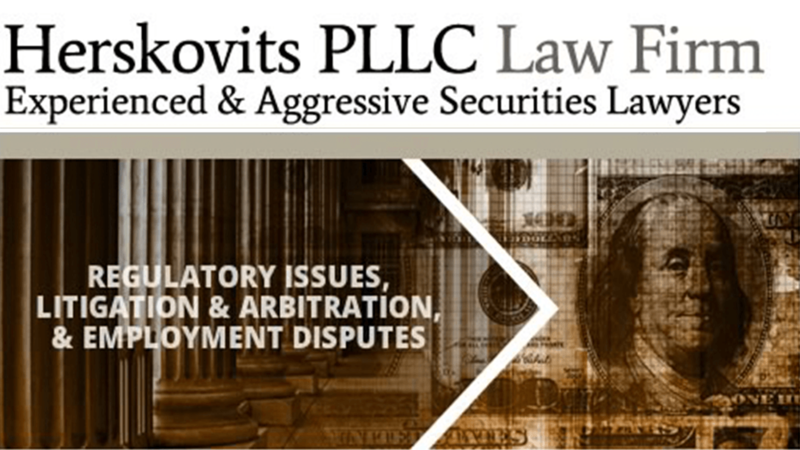 For New York securities industry litigation, arbitration and regulatory defense, NYC’s Herskovits PLLC has a unique combination of efficient size for minimal conflicts and practical billing, deep legal experience in state and Federal courts across the U.S., and an unsurpassed reputation for tenacious and successful representation. Facing A FINRA Investigation Or Inquiry For Misconduct Or Illegal Activity? If you’re in the securities industry, you know FINRA investigations can lead to Federal complaints, administrative hearings, and/or examinations by other securities regulators including the SEC. We’ll let you know what to expect and how to limit or avoid liability. The Herskovits PLLC team will protect and advocate your rights from day one with a thorough, proactive and appropriately aggressive defense. Whether you are at the early stages of an SEC, CFTC, FINRA or other inquiry or already mired in the regulatory enforcement process maze, we take immediate action to proactively address inquiries and subpoenas to learn the government’s strategy and intent. No matter where you are in the process there is always an opportunity to assert your rights and turn the tables on often-careless SEC or other regulatory enforcement teams. For broker-dealers, investment advisors or financial industry professionals – we know your business. We are well known and respected by the SEC, CFTC, FINRA and other regulatory entity leaders and have strong track records in many federal and state courts. 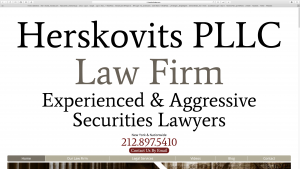 Typically, by the time you hear about serious legal action the other side is already actively preparing a case against you – let experienced Herskovits PLLC securities law professionals investigate their case and turn the tables in your favor. If serious securities industry legal action is coming your way and your career and/or finances are at stake, you should act quickly to protect your rights. Securities law matters move fast, and your early steps may well determine your outcome.